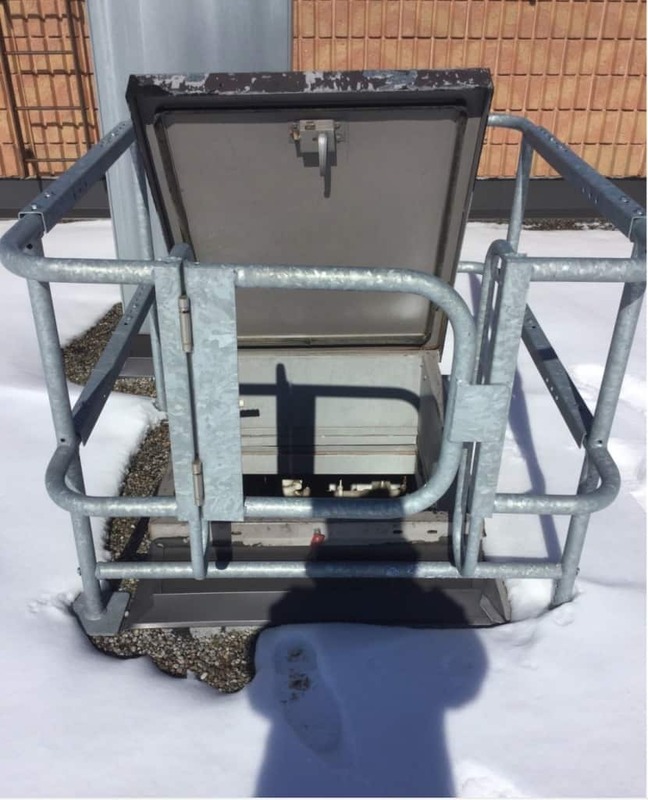 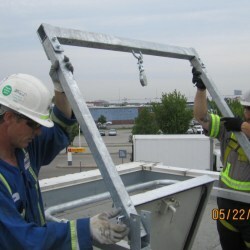 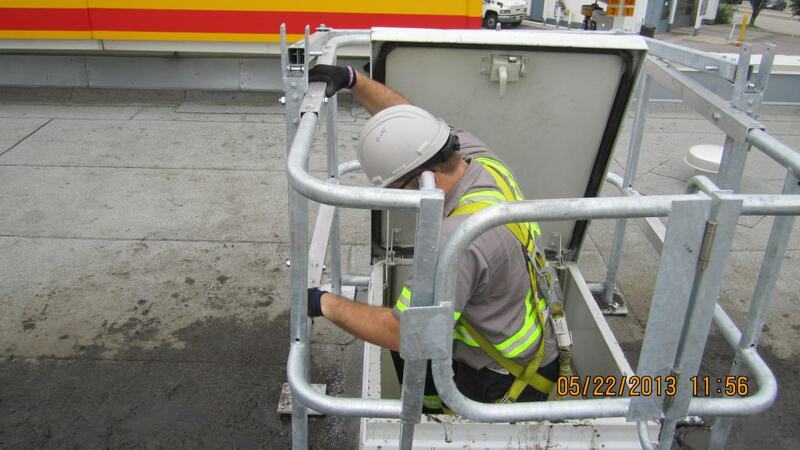 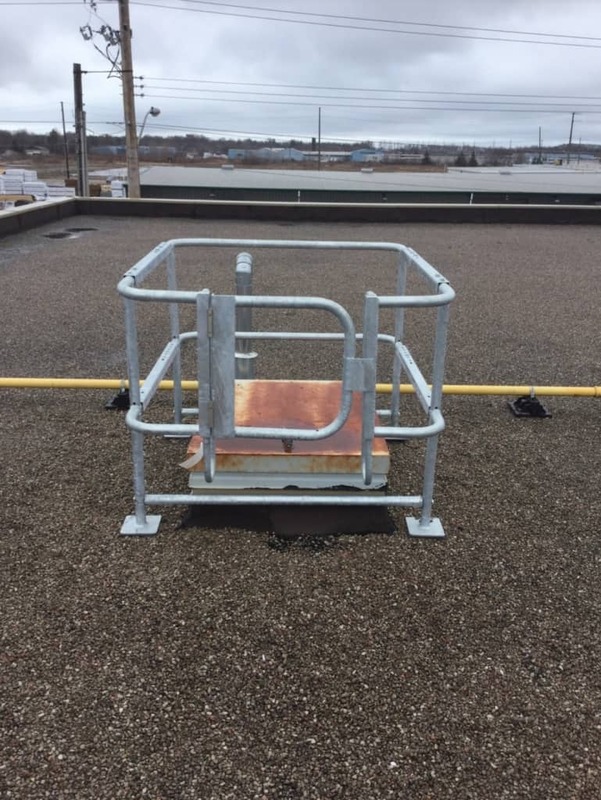 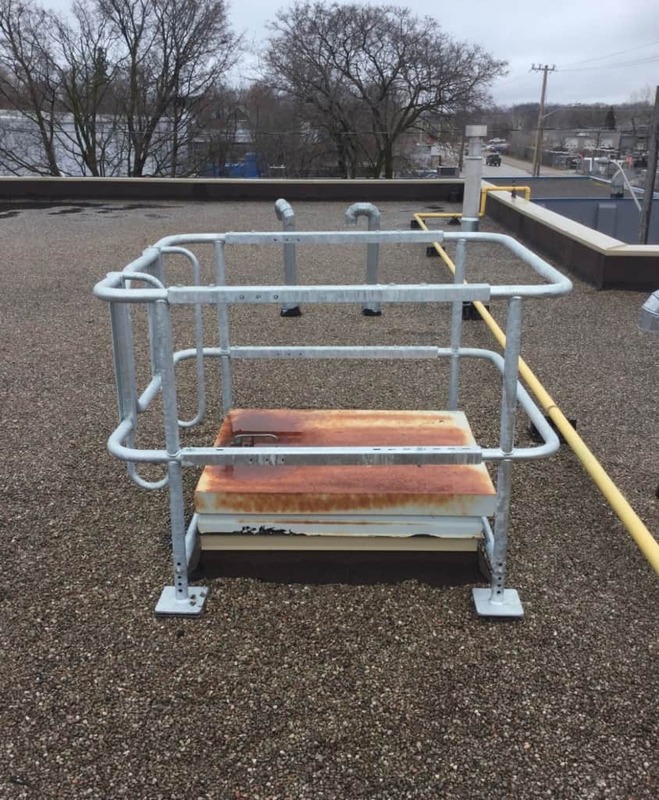 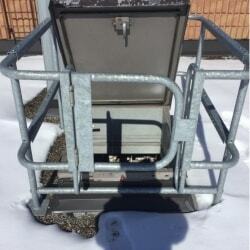 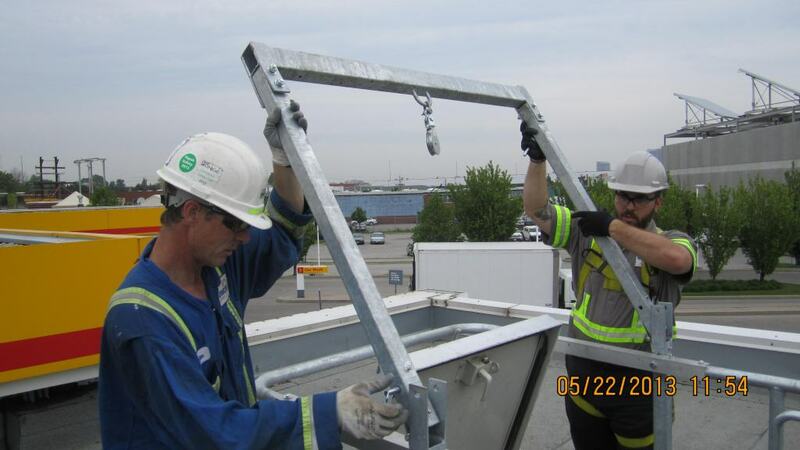 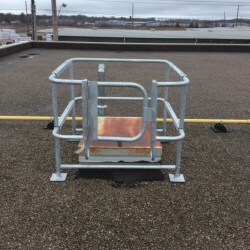 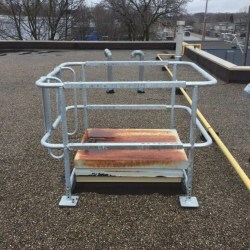 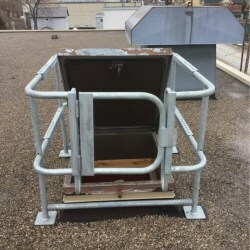 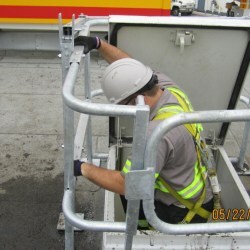 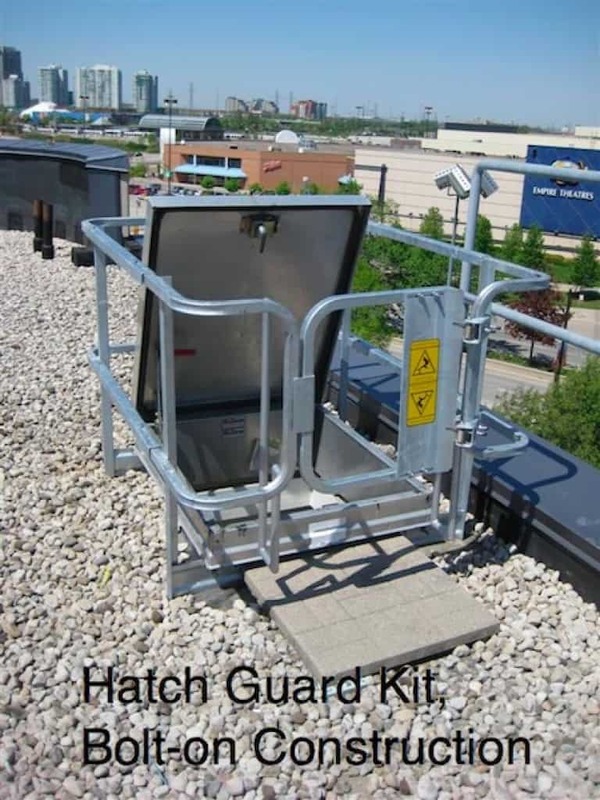 Our HatchGuard roof hatch railing systems are a bolt-on, non penetrating guardrail with a selfclosing safety gate and hand grips to assist in access or egress through the hatch. 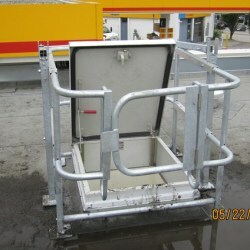 It is available in aluminum finish. 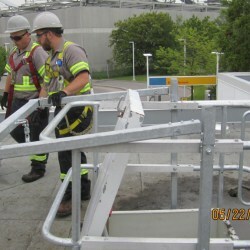 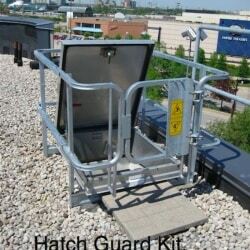 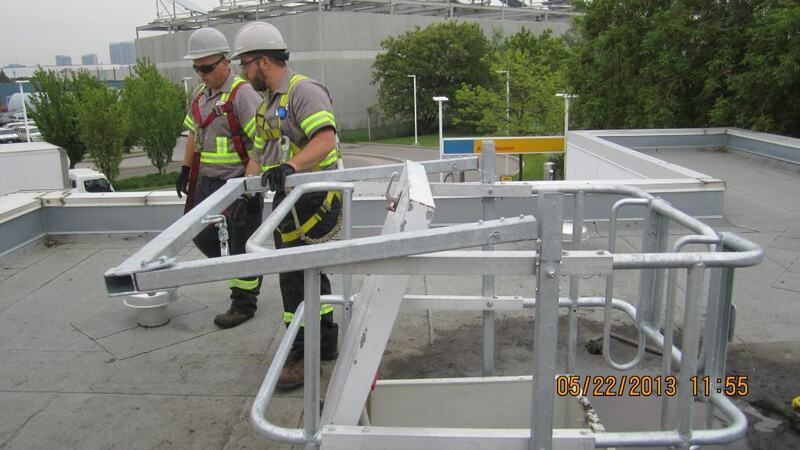 The HatchGuard rooftop hatch protection system meets and exceeds the applicable roof hatch guardrail codes. 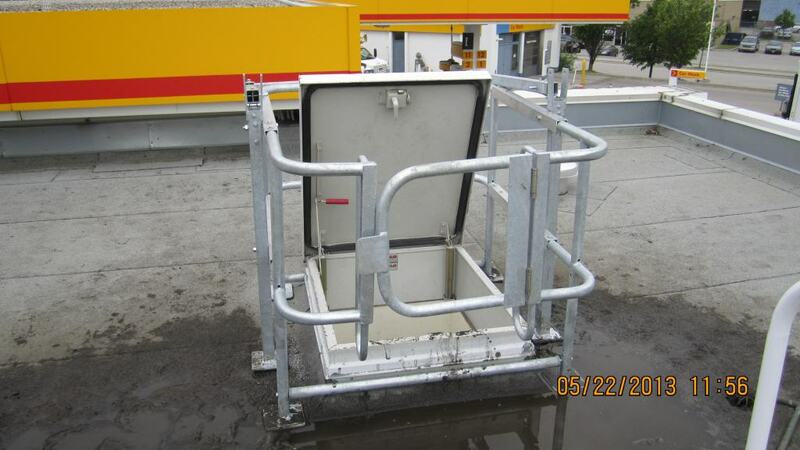 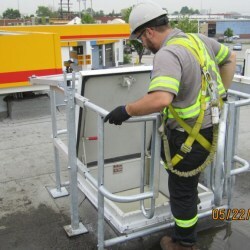 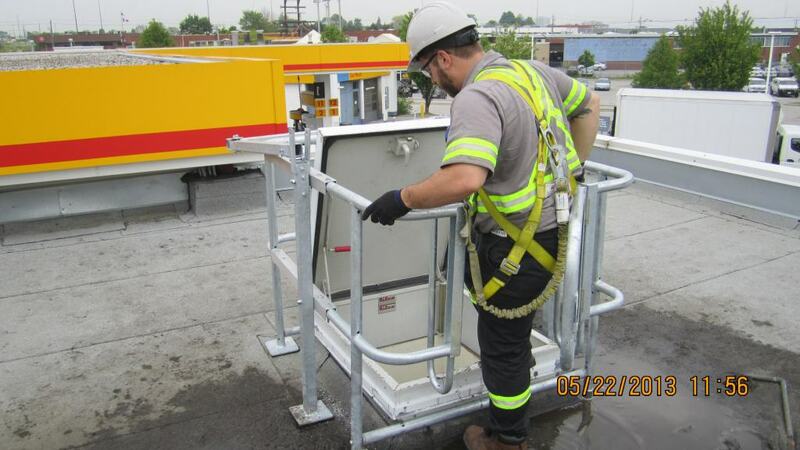 Now available with a roof hoist attachment to safely lift materials through the hatch. 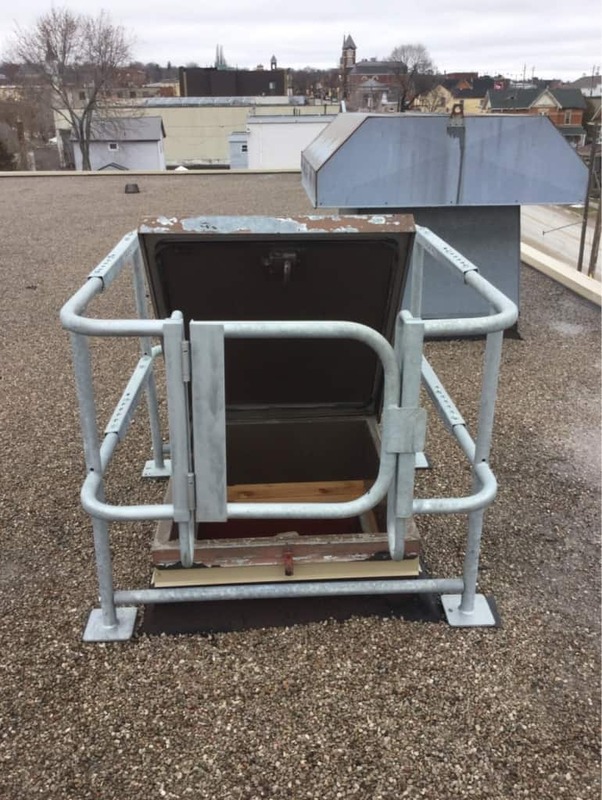 Supported by four feet at the corners which places the loading on the roof, and not the roof hatch.